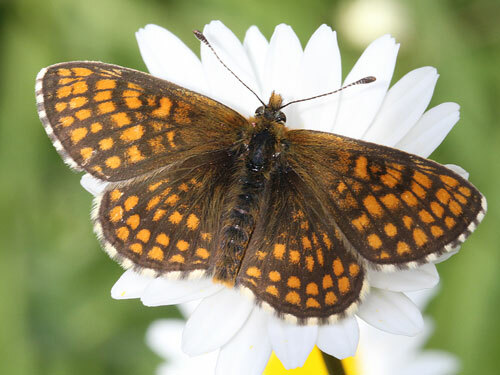 A rather dusky species, found locally in flowery meadows where it flutters and glides slowly. 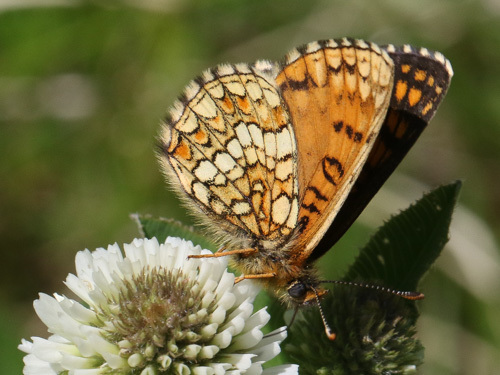 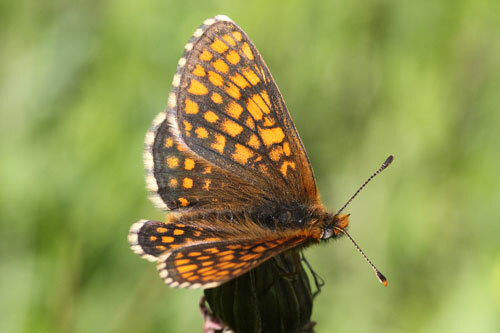 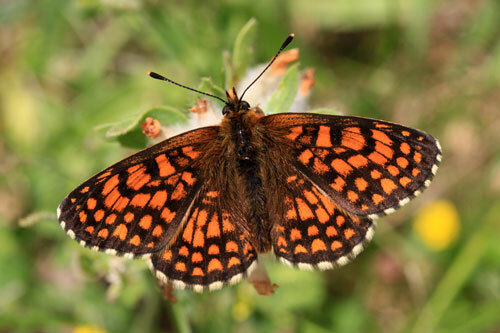 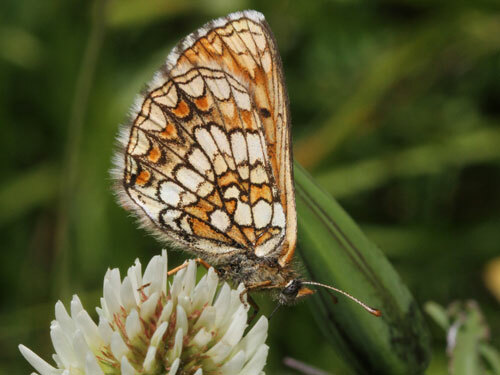 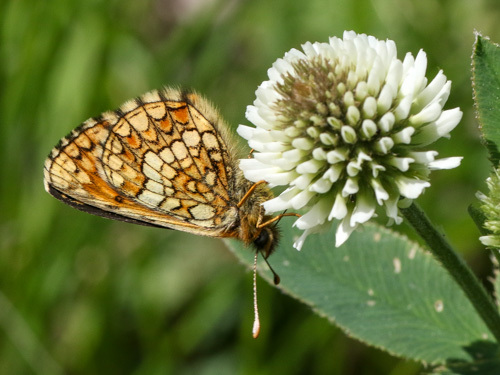 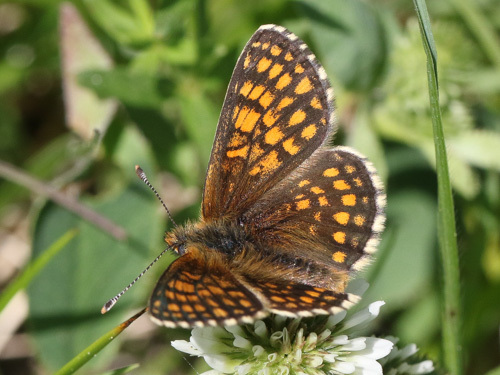 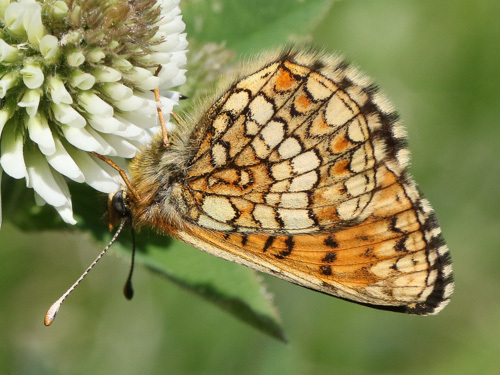 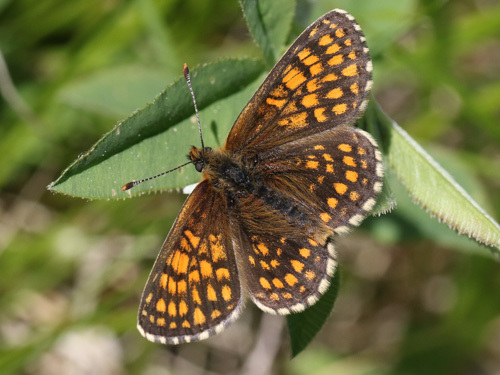 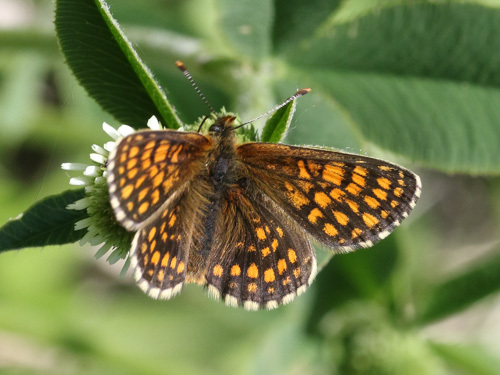 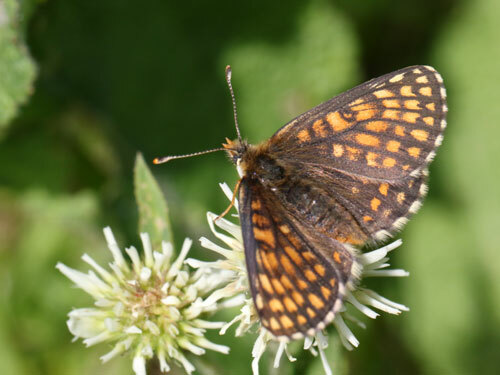 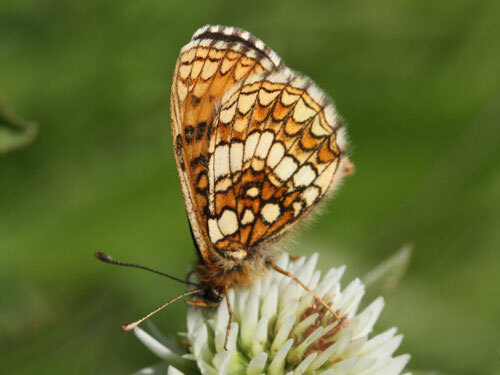 It is extremely similar to the Assmann's fritillary britomartis from which I don't think it can be separated reliably from wing markings alone. 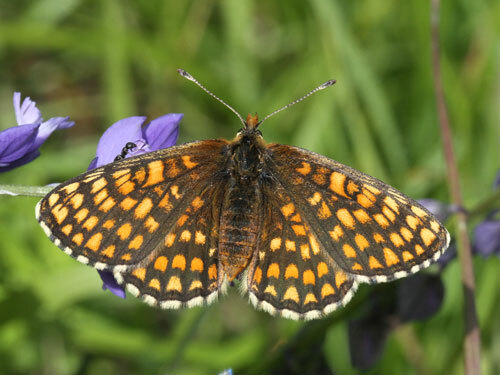 Distribution & Flight: Much of central and eastern France and eastwards. 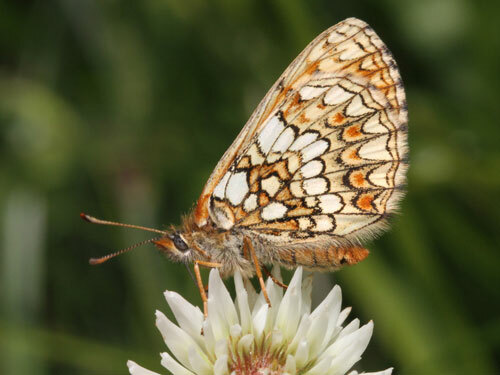 Absent from large parts of this range. 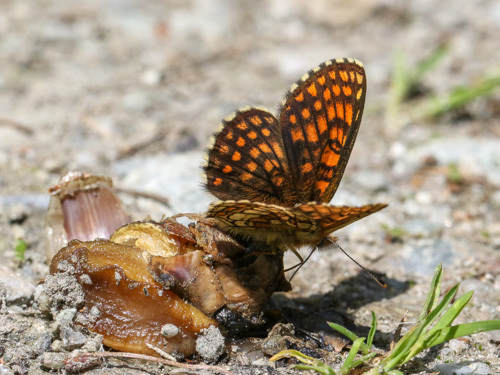 Single brooded flying May/ July depending on locaction. 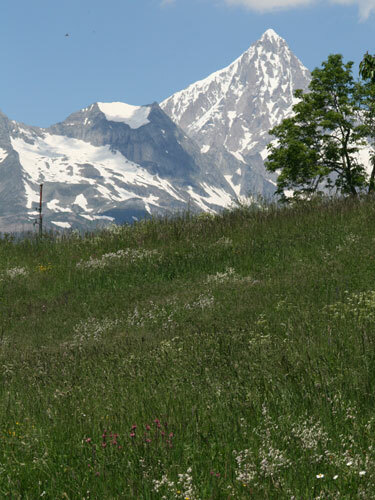 Habitat & Behaviour: Flowery meadows at low to middle altitudes usually in forested hilly country. 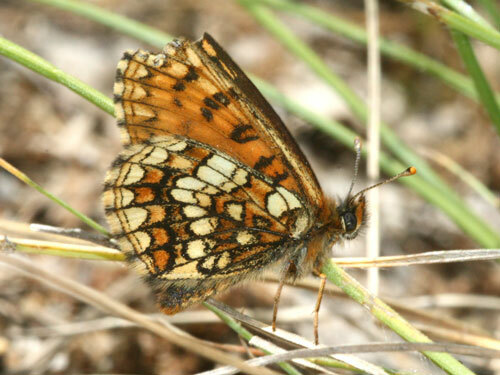 Also damp places and heaths, particularly further east in its range. 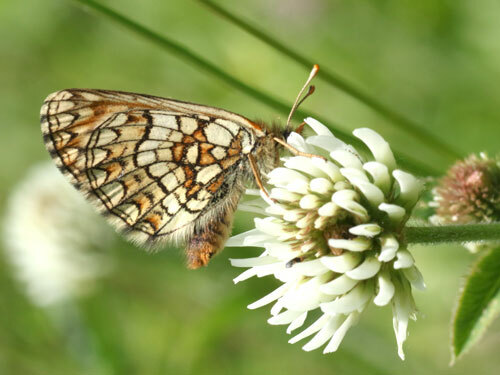 On favourite nectar plant: mountain clover, Trifolium montanum. 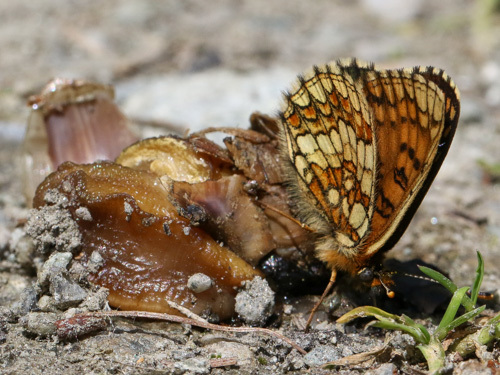 On remains of a snail. 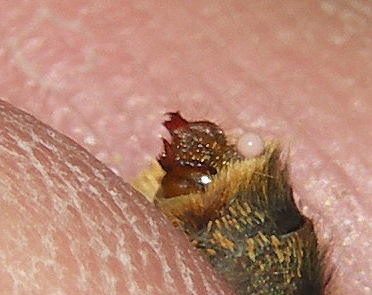 Identification of the difficult Mellicta group by genitalia.